The YellowBird Charitable Foundation is a non-profit corporation developed out of a feeling in the Canadian Travel Industry that the beaches and resorts we see as tourists are not the true picture of what life is really like in 'paradise'. YellowBird is committed to helping children and fighting poverty in tourist destinations with lower living standards than we enjoy in Canada. Since the YellowBird Charitable Foundation was founded almost ten years ago, it has donated over a quarter of a million dollars to educational initiatives across the Caribbean and Latin America. 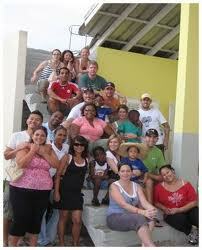 Fundraising in Canada to finance a variety of projects and programs throughout the region. Enid Capron Primary school in Turks and Caicos suffered major structural damage to buildings during hurricanes last year, in particular the roofs and ceilings. Many classrooms have had to be closed off and students relocated to the community centre across the road. We will refurbish the entire school building block which houses the school kitchen, the nurse station, the computer lab and the teacher resource room in 2018. YellowBird is in the planning phases of helping to build a new school in Carate, Costa Rica, right next to Corcovado National Park, on the Osa Peninsula. This school will be 100% environmentally friendly, self-sufficient and made of sustainable materials. Construction to start in 2015. Going forward in 2015, YellowBird has partnered with The Sandals Foundation and Toronto's SickKids Hospital to help treat children with cancer in the Caribbean and get the best care possible. YellowBird arranged the donation of tens of thousands of dollars worth of solar panels to Jamaica in 2013 to help retrofit schools on the island making them more environmentally sustainable and bringing down electricity costs. 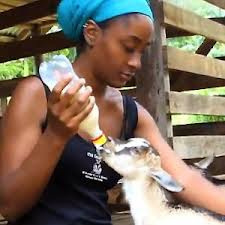 In 2012, money was donated to The Grenada Goat Dairy School Project, where a facility was constructed to teach children from all over the island about dairy milk production, environmental sustainability and small businesses. 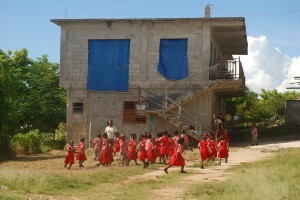 In 2009, a donation was used to construct a properly functioning building, with enough space to house the Culloden Early Childhood Institute in Culloden, Jamaica. The Campbell’s Castle Basic School Construction Project in Windsor Forest, Jamaica was the recipient of funds in 2008, which helped build additional classrooms, bathroom facilities and a kitchen. 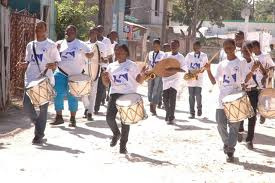 YellowBird supported the initiative Mathematics Among Primary Schools in Grenada in 2008, which helped the country improve the teaching of mathematics, thereby encouraging students to embrace the hard sciences. 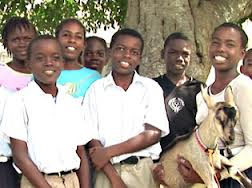 In 2007, a donation was made to the Monchy Combined School in St. Lucia and substantial support was also given to the Boys Training Centre in St. Lucia to improve the Centre's overall educational experience. The YellowBird Online Silent Auction helped the Canadian Tsunami Relief Effort in Thailand in 2006 and money was also spent to help sponsor a student in Canada from St. Vincent and the Grenadines. In 2005, the YellowBird Charitable Foundation donated more than $50,000 to various causes, including the rebuilding of the Anglican High School which was severely damaged by Hurricane Ivan affecting over 600 students. In 2003 and 2004, the Travelweek & Travel Guard Charity Golf Classic raised money to fund the refurbishment of the Greenwich All-Age School in Kingston, Jamaica.